Helijet has extended its existing helicopter air service contracts with six of BC’s world-renowned fishing lodge resort clients located on the Haida Gwaii Islands and Bella Bella, along the Central-West coast of British Columbia. Collectively, the air service provisions are valued at over $5 million. 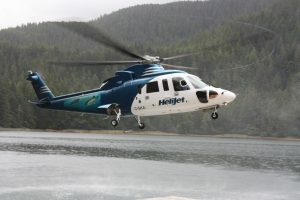 Helijet will provide exclusive seasonal helicopter service to resort lodge locations utilizing twin-engine Sikorsky S-76 helicopters, flown and maintained by a Helijet team based on the Islands, at the Sandspit and Masset Airports and within the central coast, at Bella Bella Airport. Sandspit Airport, with a complete hangar and office infrastructure, mission specific helicopters and experienced flight crew, in support of all business sectors. Helijet’s Manager of Resort Operations, Tammi Lim commented, “The opportunity to renew delivery of our team’s service and safety standards to our partnered lodge clients demonstrates Helijet’s commitment to provide the safest and most efficient air transport solutions in one of Canada’s most scenic and rugged environments, all the while supporting the BC sport fishing industry”. 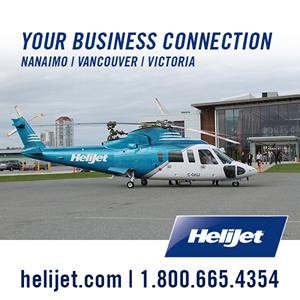 Helijet is the leading air service provider on BC’s north coast, providing a significant fleet of single and twin engine helicopters to a total of 12 world renowned sport fishing and ecotourism lodge resorts, operating on Haida Gwaii and the North-Central Coast of British Columbia.